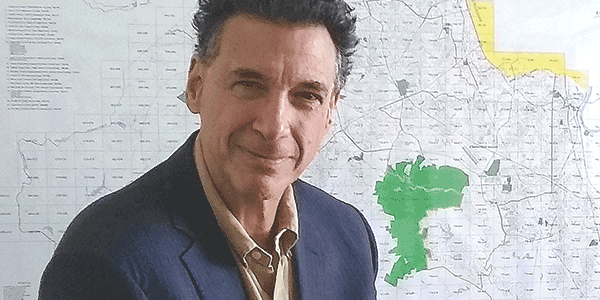 Dan Cohen has plenty of ideas on how to enhance the community. 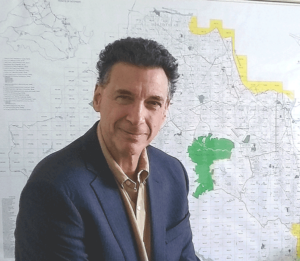 Cohen, the director of the county’s year-old Community Enhancement Department, comes to Chesterfield with a wide range of experience from Orange County, Calif., Atlanta, Hampton Roads and Richmond. He noted that the county has a contract pending with the Maggie Walker Community Land Trust, an organization that plans to buy properties and build, rehabilitate and sell housing while keeping title to the land. Such a concept has unique opportunities for low-to-moderate income families, Cohen said, noting that the buyer would only have to pay for the home, which could represent only one-third of the combined price of land and building. This could make it easier to qualify for a loan, for example. Buying a home on land owned by the trust is similar to a cooperative set up at Greenleigh Mobile Home Park, which at 572 homes, is the largest such park in the county, he said. Cohen said this is a “great model to look at” for revitalizing other properties. The land trust is currently working on rehabilitating eight or nine houses in the county, he said, noting he worked with the organization at his last job in Richmond. He notes the county already has established relationships with two other similar entities: Project Homes, which rehabilitates homes and sells them, and the Better Housing Coalition. The county has helped finance these endeavors, he said. Examples of other efforts in which the department could be involved include building pathways between developments to remedy “sidewalks that go to nowhere,” providing access to the Appomattox River Trail, building more pedestrian crossings on Jefferson Davis Highway, and adding enhancements to the highway median in Midlothian. Enhancing communities is important, he said. The Brooklyn native said there is a tremendous parallel between the Atlanta and Richmond metro areas, as both include a big city and two counties. “I want to bring some of that experience” to Chesterfield, he said, noting he lived in the Atlanta area for almost 20 years. Historically, the river has been used for industrial purposes to ship products, but now it is being considered for trails. Cohen, who has a master’s degree in sociology, said his planning degree gives him employment, but his sociology degree gives him a “fundamental understanding of how the world works. It helps me figure out what all the information means that we are exposed to” on a day-to-day basis.